This feature allows you to easily change worn out rubber feet or to fit other accessories, such as spiked feet or snow/sand shoes. Revolutionary Carbon eXact tubes are even stiffer to maximize rigidity and image stability. Carbon eXact optimizes the fibre composition for each tube size, using HM (High Modulus) carbon fibre in the narrower tubes to make them stiffer. Our G-lock system has been redesigned from the inside out; G-lock Ultra is smoother and softer to use, and is designed to reduce dust and grit from getting in. The Gitzo GT3543XLS Series 3 Systematic Tripod XL is a powerful, 4-section, professional carbon fiber tripod designed to securely elevate longer lenses and heavy cameras. It is the perfect combination of elevation, lightness, durability, and uncompromising stability. Not only are the Gitzo's strongest and most stable tripods, the Systematic family also set the standard in terms of modularity. The GT3543XLS' top casting element opens and closes, allowing each tripod to be configured with a flat disk, geared or sliding centre column, video half-ball adaptor, levelling base or other Systematic accessories. The GT3543XLS weighs 2.29 Kg and secures an impressive payload of 25 Kg. It reaches as low as 10 cm up to 202 cm and folds down to 71 cm. A highly reliable, versatile solution that's easy to take anywhere, this model features Gitzo's Carbon eXact tubes with G-Lock Ultra twist-locks that solidly connect the leg sections and protect them from dirt damage. Ultra-stable, removable feet make this support even more secure. The Easy Link attachment provides enhanced versatility and ergonomics, enabling users to attach a wide array of optional accessories, such as a Manfrotto arms, LED lighting solutions, monitors, etc. 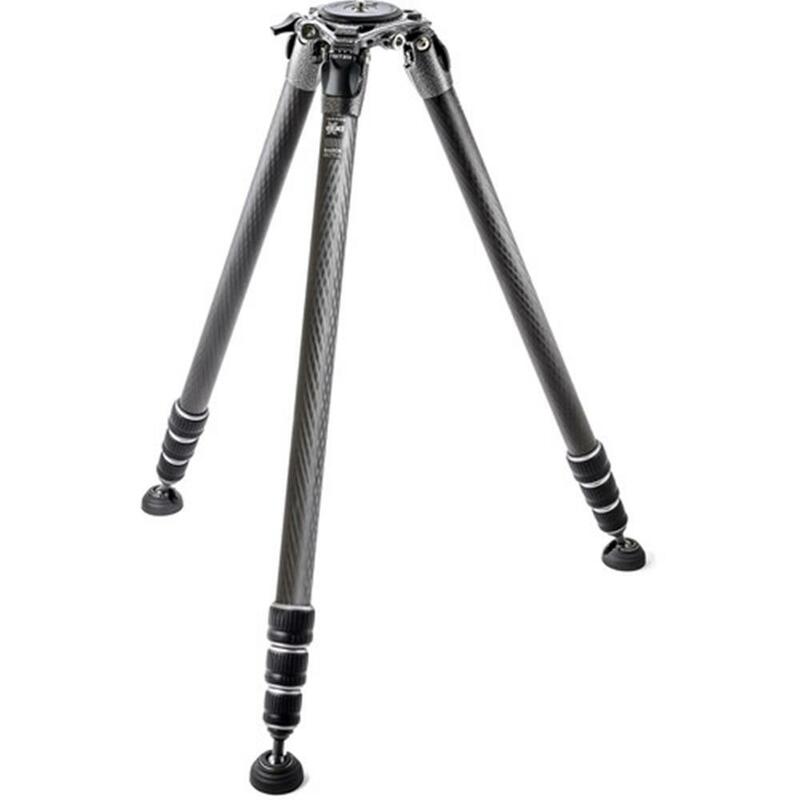 The GT3543XLS replaces the GT3542XLS as the tallest 4-section Systematic tripod. With a top leg diameter of 32.9 mm, this Series 3 model is the perfect choice for exacting professionals who want to travel light but require the adequate levels of stability for heavier professional equipment with longer lenses.